St. Croix took home the trophy for the 2017 ICAST winning the “Best of Show” with the St. Croix Legend Tournament Inshore. 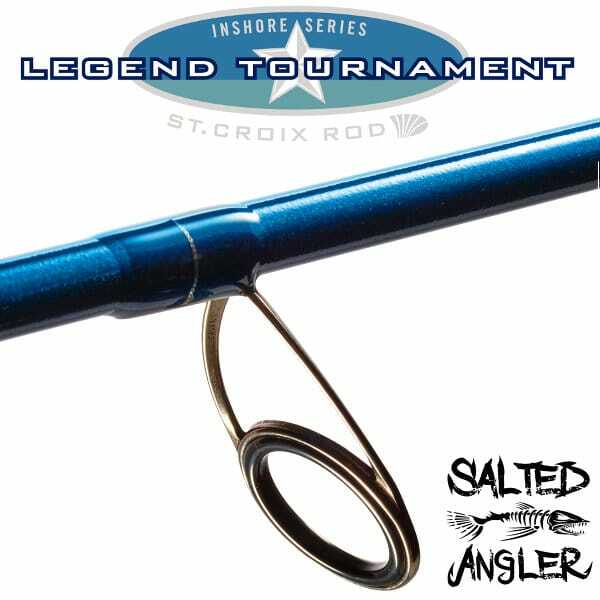 If you are a serious angler either on the weekend or are working you way up through the tournament ranks, then you will be pleased to know that St. Croix has been listening to feedback from its loyal owners and has produced this amazing new inshore rod. 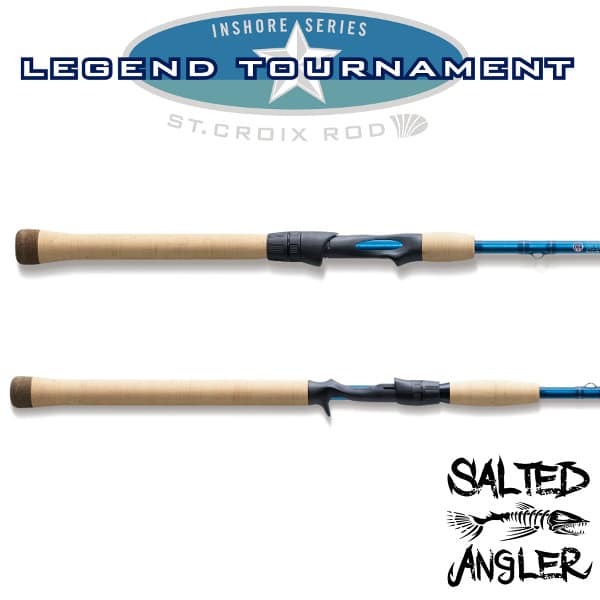 While the St. Croix Legend Tournament Inshore is not an inexpensive rod with a retail price that will start at $279.99, there is a lot of technology and quality manufacturing packed into this rod. 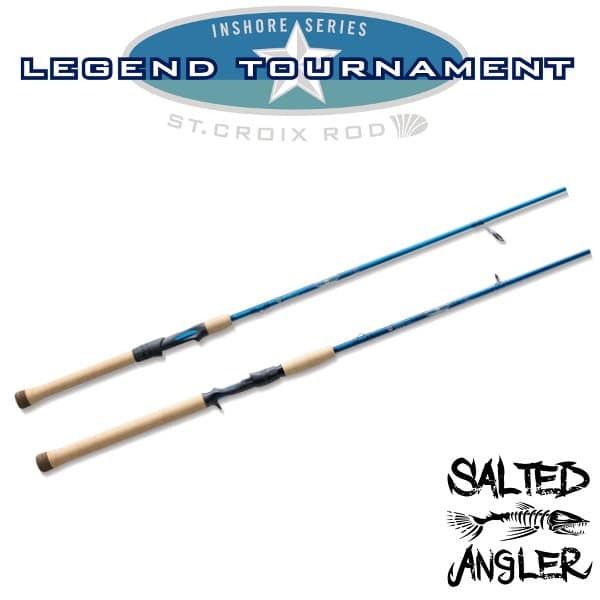 With technologies such as ART and IPC to deliver a stronger and more sensitive rod along with High-modulus/high-strain SVIC graphite for superior strength and durability, the Legend Tournament Inshore is a rod that should not be overlooked when you are shopping for the next addition to your fishing arsenal. St. Croix finishes the rod off with high-quality Fuji reel seats, Kigan guides and then seals the entire rod with 2 layers of Flex Coat to keep the saltwater from corroding your investment. 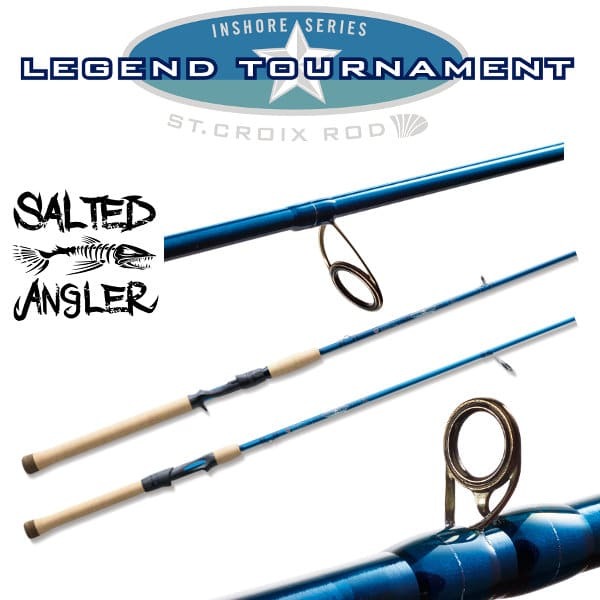 The St. Croix Legend Tournament Inshore is available in 3 casting and 7 spinning models. As a brand new addition to the St. Croix family of inshore rods, I think it is one of the best that they have offered. High-modulus/high-strain SCIV graphite with FRS – St. Croix FRS manufacturing technology uses a combination of fortified resin with specialized curing ovens that assure that the carbon fibers are kept in alignment during the entire curing process. Curing a rod is like aging a wine – it takes just the right amount of time to get the perfect result. To achieve this, the curing ovens are computer controlled. This process means that you will get a rod that consistently tests around 33% stronger than a rod built with standard resins and curing processes. Fuji TVS (spinning) PST (casting) blank-touch reel seat with built-in hood – The TVS reel seat is designed with a special hood to fit the hand much better and with the V-shaped grip, the reel is less likely to move from side to side when casting. The PST reel seat or Palm Trigger Seat is designed for comfort and performance, especially for low profile baitcasters. In both of these reel seats, the cutaway design allows the hand to actually have direct contact with the rod blank, thus transferring the feeling of the rods action to the fisherman. Super-grade cork handle – Both the Legend Tournament Inshore spinning and casting rods have the top of the line super-grade cork handles which are literally flawless. This means that you will not experience any flaking of the handle over time. Kigan Master Hand Zero Tangle guides – Most inshore anglers will be using braided line these days and with that comes additional pressure on the guides and the increased chance of the line getting fouled. The Kigan Master Hand Guides address this problem by manufacturing a single piece where the line can not wedge between the guide legs and the ring frame. Kigan titanium hook-keeper – It is the attention to detail at every level that makes a St. Croix rod what it is which is why they use a titanium hook keep that will not rust under saltwater conditions. Two coats of Flex-Coat slow cure finish – Once all of the components have been assembled St. Croix brings it all together and finishes the rod off with 2 layers of the Flex Coat slow-cure finish. Flex Coat is an epoxy finish that is used to seal the rod wraps to a point where you basically can not see the wrapping material. This provides a clean look and added durability. 15-year transferable warranty backed by St. Croix Superstar Service. – St. Croix stands behind their rods when it comes to defects or workmanship for a full 15 years. It is nice to know that when you make an investment in a St. Croix rod that they stand behind it. As an avid inshore fisherman, I love to use gear that allows me to feel every bit of the fishing experience. From casting a small lure or live bait to a lurking big red or snook to feeling a 14″ sea trout take whats on the other end of my line, I love to feel it all. Once the fish is on the other end of the line then comes the rush of the fight, did I mention I love light tackle. 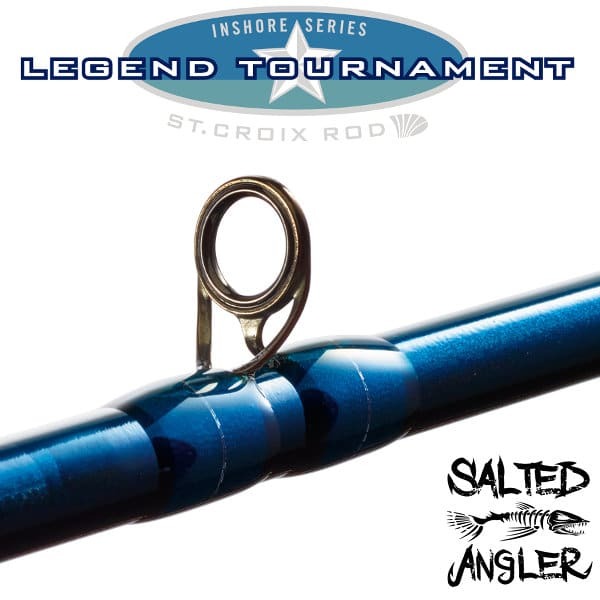 The St. Croix Legend Tournament Inshore is designed to deliver you an extremely sensitive rod that at the same time is strong enough to handle your larger bull reds, small tarpon, and even a hard fighting 36″ snook. When we were testing the rod at the ICAST “On The Water” event I was amazed at how the tip of the rod just vibrated as I retrieved my lure. When casting the rod loads up nicely and allows you to precisely place your lure. The overall weight and balance of this rod feels simply amazing, I can not wait to get one out on the water for an extended and thorough trial. Currently, the anticipated date of availability is November 2017. 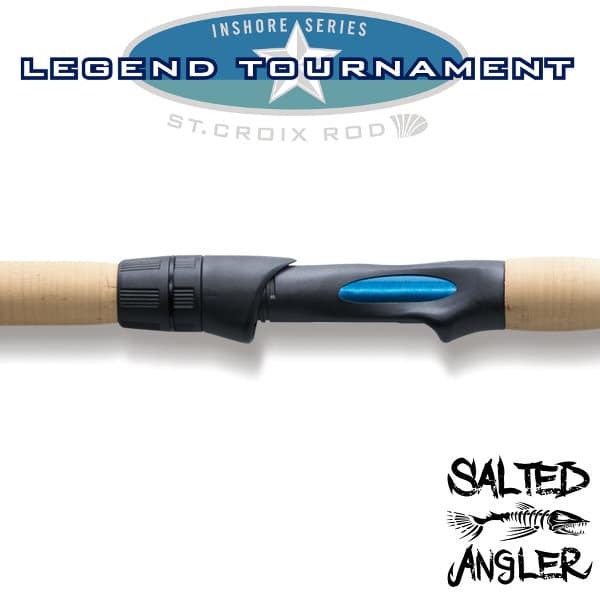 The St. Croix Legend Tournament Inshore Spinning rod comes in 7 models from a 7″ Medium Light Fast Action for your light lures of 1/8th to 1/2 oz. up to the 8′ Heavy Fast Action which can handle 3/4 – 3 oz lures. 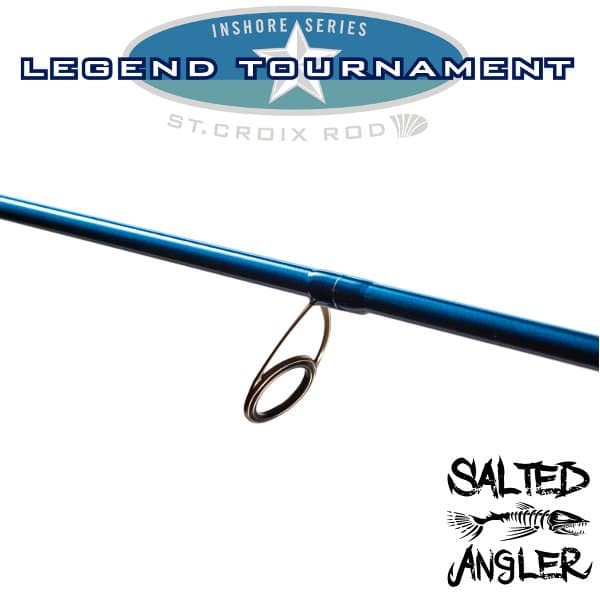 The St. Croix Legend Tournament Inshore Casting rod comes in 3 models from a 7″ Medium Fast Action for your lures of 3/8th to 3/4 oz. up to the 8′ Heavy Fast Action which can handle 3/4 – 3 oz lures. Higher price point, however, you get what you pay for in this case and it is really not a con. If you want to spend a few dollars less, then I can recommend that you check out the St. Croix Mojo Inshore. It’s my favorite go-to-rod which costs about half the price, however, it is not in the same class. Read the full review of the St. Croix Mojo Inshore HERE. Still staying in the St. Croix family would be the St. Croix Avid Inshore which won “Best Saltwater Rod” at the 2015 ICAST. The primary difference between the Avid and the Legend Tournament Inshore is going to be the use of the SC IV vs. the SC III graphite material and the reel handles. From a price perspective, the Avid is going to fall in between the Mojo and the Legend. Read the full St. Croix Avid Inshore Review HERE. The third rod I would have you take a look at would be the G Loomis E6X rod, which is an excellent mid-range rod. The price point of the E6X starts out at $179 and for me fishes very much like its big brother the G Loomis NRX which is a $600+ rod. Read the full review of the G Loomis E6X HERE. It seems that every year the quality of the rods that are available due to new designs, materials, and manufacturing processes just get better and better. As a fisherman, you want to be able to feel as though the rod is an extension of your body, not just a tool. 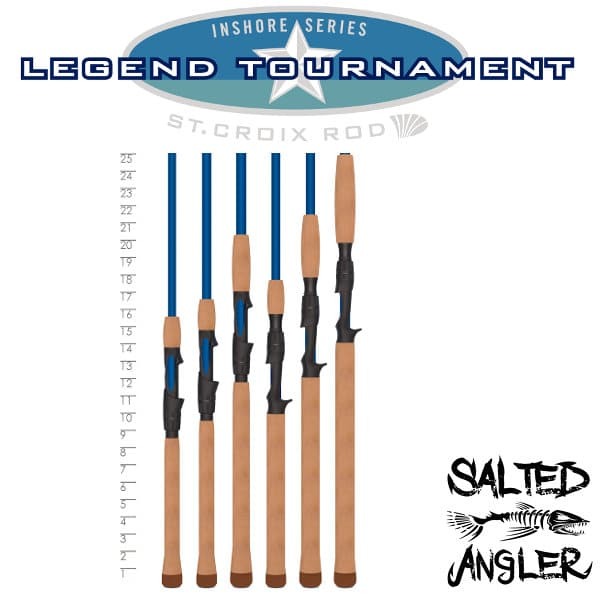 The Sensitivity of the St. Croix Legend Tournament Inshore is simply better than anything I have ever had the opportunity to use. While my time with the rod was very limited as there are only a handful of the prototypes, I can honestly say that it was like no other rod I have used before. I know that I myself will be upgrading from my St. Croix Mojo Inshore later in the year when the Legend Tournament Inshore is available to the general public sometime in November 2017. I love my Mojo, but it is not even in the same class as the Legend Tournament Inshore.